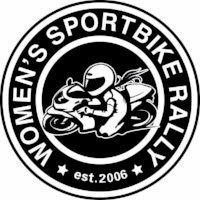 Join the celebration at the Women’s Sportbike Rally! We’re Seeking Sponsors, You’re Seeking Customers. I’m Brittany Morrow, Director of the Women’s Sportbike Rally. In 2005, I nearly lost my life in a sportbike accident as a passenger. I decided to get back on and take control, and have since made it my life’s purpose to educate and encourage my fellow riders to make better choices when it comes to the amazing machines we ride and the sport we love. We’d be thrilled to have your support for the Women’s Sportbike Rally, themed “Chase Your Dreams” in 2018. For 12 years, this twice-annual gathering in two locations across the USA has existed to promote the joy of riding and celebrate women on sportbikes. Below you will find our entire marketing arsenal, including information on our staff, sponsorship levels, insights into our attendees, data from 12 years of events, a detailed ROI breakdown and more. You can download the packet as a single 9-page PDF. Can’t wait to partner with you!